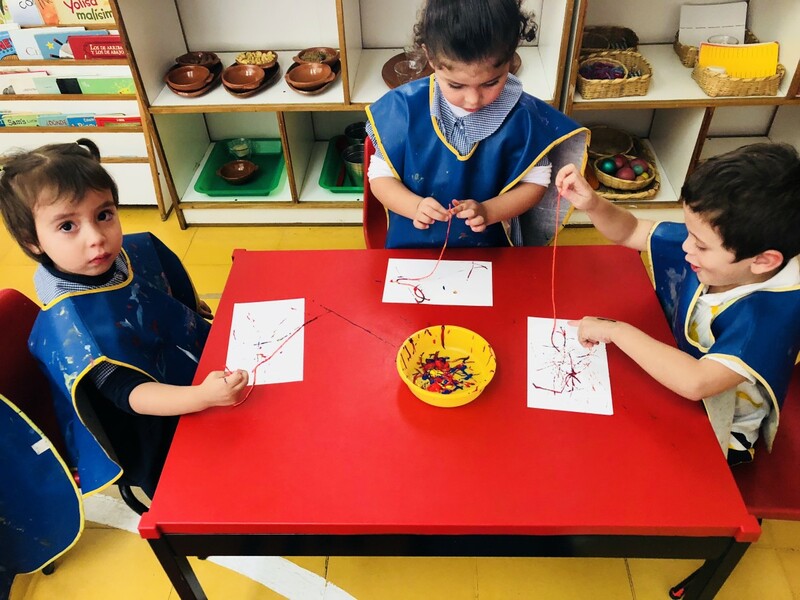 Apart from broadening and building on to their English vocabulary, the children of K1 have dabbled into the marvelous world of art. Despite their young age, they have already been exposed to various styles, techniques, colors, and artists from all over the world. 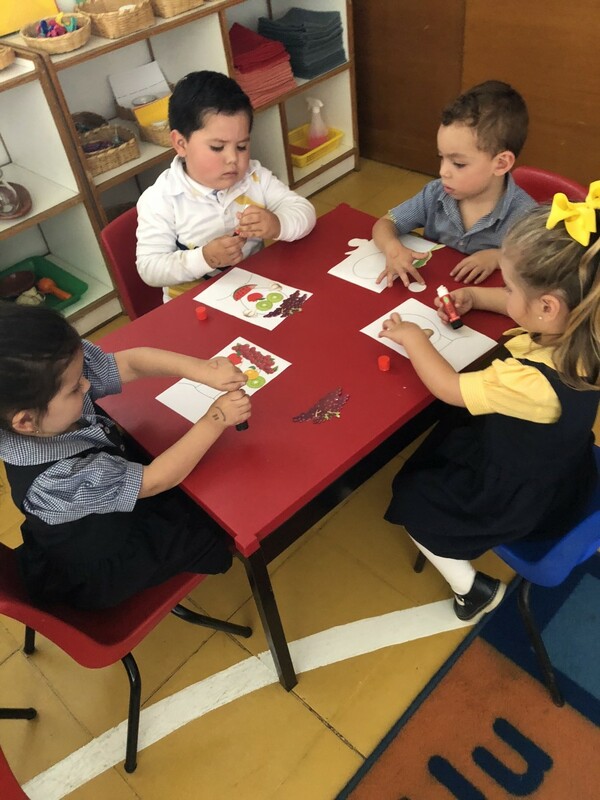 They have learned about Kandinsky, Matisse, Van Gogh, and most recently Giuseppe Arcimboldo and Jackson Pollock. Not only have they been exposed to great pieces of art created by these individuals, but even gone on to recreate these pieces and styles in their own way. 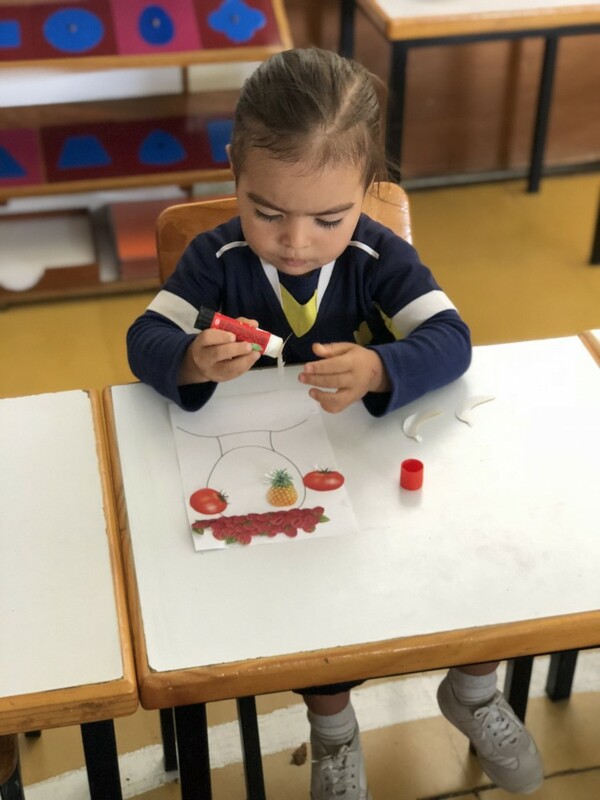 As an example, the children of K1 do not yet possess the ability to paint portraits using fruits and vegetables as the parts of the face like Arcimboldo, so they were given an alternative to recreate his style. 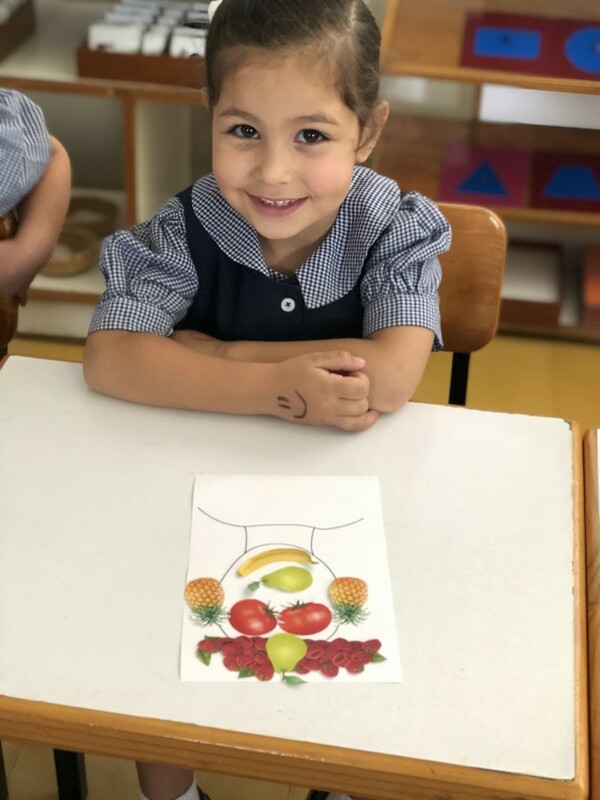 They were given the silhouette of a face and paper cut outs of fruits and vegetables to create a face using his same abstract style of optical illusions. 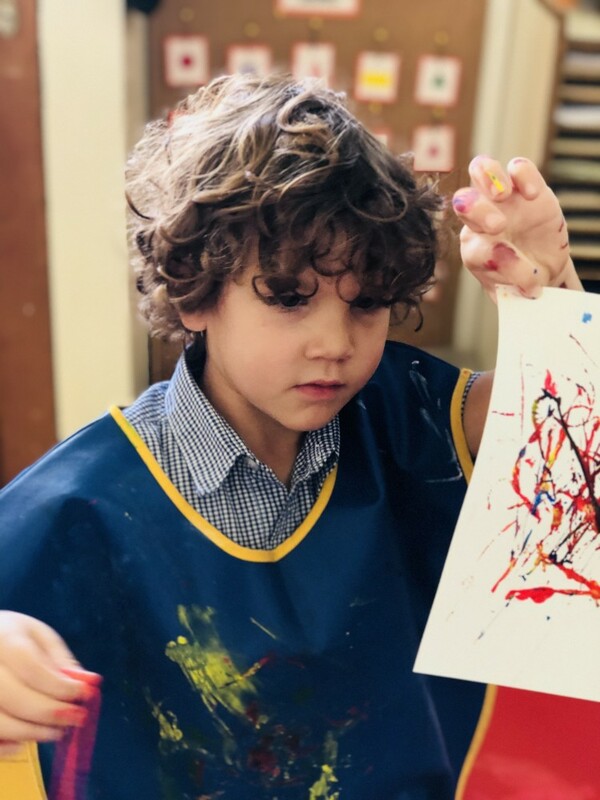 Another example of K1’s take on an art technique, is our lesson on Jackson Pollock’s drip painting. 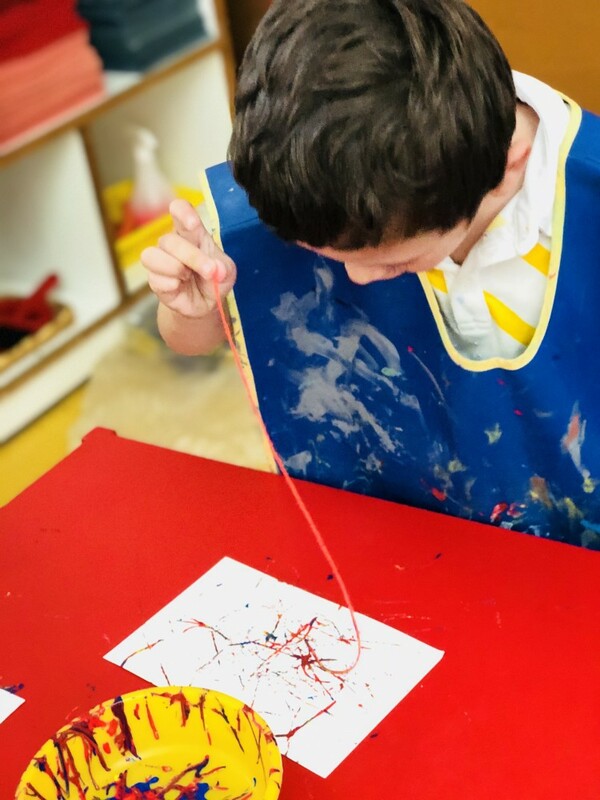 Following Pollock’s technique as he did, would have ended in a huge mess, so K1 carried out their drip paintings in a simpler yet just as abstract fashion. 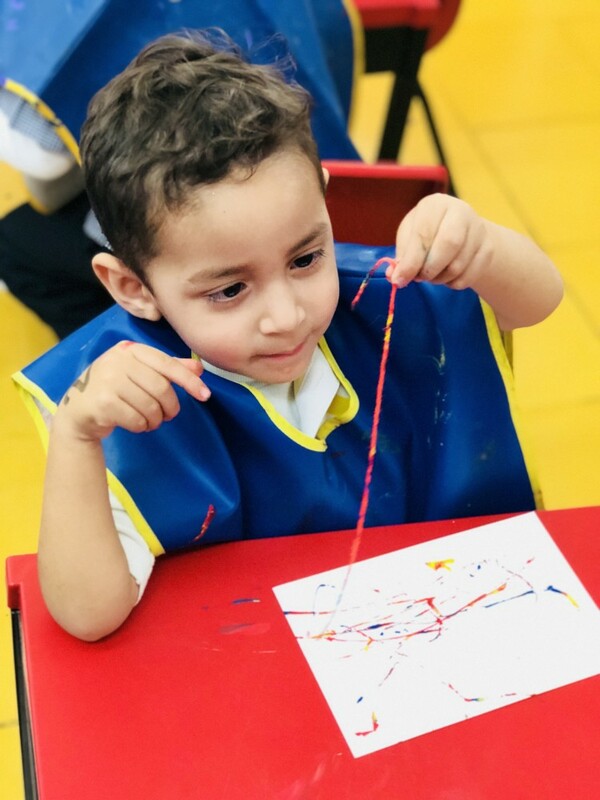 Using yarn dipped in paint, they were able to effectively capture the essence of Pollock’s drip painting. As art does not know age, any time is the perfect time to begin. 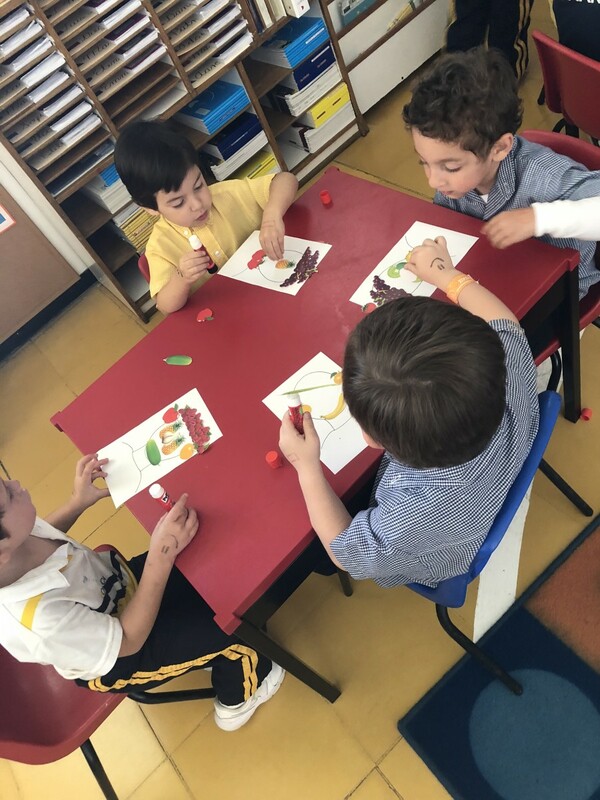 K1 has successfully begun and will continue to grow in their knowledge of art’s techniques, styles, materials, history, and artists as the year flies by.